When it comes to helping you take your magic to the next level fast, only a small handful of coaches know how to combine true mastery with something even more rare: a true passion for helping magicians succeed. And CC Master Coach Alexander Slemmer gets you better, faster and more astonishing results than anyone we've ever seen. Thanks to Alex’s vast knowledge in virtually every area of magic, you'll be able to learn and master just about anything you want! Whether you’re just getting started or you’ve been doing magic for years, Alex makes sure you experience real and lasting magic growth in your very first session. What Can You Learn With Alex? Flotations and Animations that astonish your audiences like nothing they’ve ever seen. Coin Magic Miracles - from classic tricks and sleights to the heights of visual coin magic. 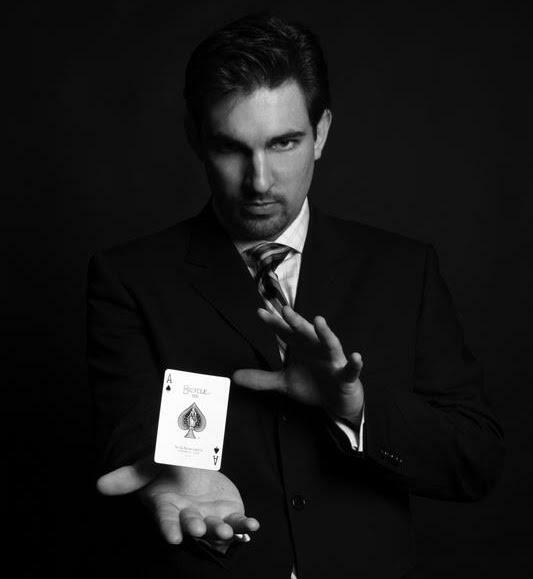 Astonishing Card Magic - from easy, practical miracles to Professional Grade Routines. Mentalism - from impromptu mind reading, to mental bending and more. Magic with everyday objects like bills, balls, napkins and more. How to choose the best method for any trick based on your own strengths, skills and confidence. How to assemble your tricks into effective, practical routines so you have a real 'act' ready to go. Step-by-step instruction in any technique you need to make miracles...with any prop you require. How to select and deploy the most effective misdirection strategy...so you NEVER get busted again. And so much more...If you have ANY questions before booking, just email Alex below! This routine is so strong. So glad all of this is here for us. You are a mad chop cup genius. The lesson rocked and continues to do so as it blossoms my practice. Went around the office performing Spellbound with the Presto Chango finish. Eyes popping and just straight impressed laughter. Fantastic Effect. Thanks Alexander! Alex demonstrated the confidence of a real”PRO”… as we say, “That boy is real B-a-a-d! Whether you want to hone your skills, develop your repertoire or perfect your routine and presentation, Alex will help you plot your next steps and give you personalized coaching and instruction that gets results fast. You'll be delighted when you discover how easy it really is to make immediate and lasting progress with whatever aspect of magic that interests you right now. You'll be amazed by what you discover and accomplish - starting with your very first session! 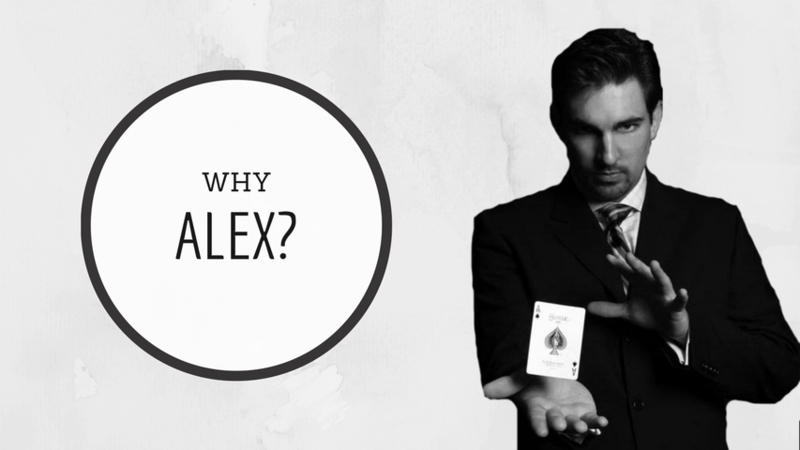 If you’ve seen any of Alex’s astonishing Conjuror Community Amazement plans, our own in-house Man Who Knows, you already know Alex is a consummate expert in virtually every area of magic; from cards to coins to mentalism, magic with everyday objects, stand up masterpieces and more. What you may not know is this: for over a decade, Alex has been one of the most esteemed members of magic’s true ‘underground’. As a boy, he studied closely with masters like Roger Klause, Paul Harris and John Carney. More recently, he’s performed and consulted on TV productions with some of magic’s greatest minds, like Danny Garcia, Wayne Houchin, Armando Lucero and More. Now, he’s proud to apply a lifetime of magic experience to his favorite passion – watching others create the most astonishing magic they’ve ever dreamed of.